Terredora Di Paolo is a story of a family that is closely linked to Campania, its land, its history and its people for generations. With 494 acres of privately owned vineyards in the best sites of the Avellino province, Terredora di Paolo is one of the largest wineries in southern Italy. In Irpinian, the wines exhibit a distinctive personality due to its unique microclimate. The altitude at which the vineyards are found, the soil and the thermal fluctuations develop wines that are intense and elegant and display complex bouquets. Since its establishment in 1978, Terredora di Paolo has focused on rediscovering and restoring Campania's ancient and native varietals such as Aglianico, Fiano, Greco and Falanghina. These varietals are key players that have brought about Campanian's wine renaissance. Innovation is equally vital and is found throughout the winery, vineyards and cellars. A team of experts at Terredora di Paolo integrates forward-thinking technology with the region's established traditions, bringing to life a unique legacy that combines culture and customs in a lively way. In 1994, when the business world looked to be pulling the Mastroberardino family in different directions, Terredora di Paolo decided to take action. A concept was realized that focused on the vineyards and modern technology that strengthened and fostered the avantgarde character of Terredora Di Paolo. This fundamental step was taken to guarantee the highest quality by controlling all aspects of the grape growing cycle. These checks are fundamental to the production of excellent wines. Great care has been taken in the vineyards and wine cellars to ensure that the traditions and history of the winemaking in this region is honored. 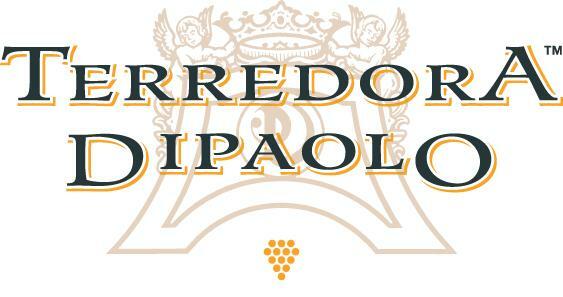 Terredora di Paolo is dedicated to achieving outstanding levels of quality the indigenous varietals of Campania. Wine Enthusiast 88"Aromas of citrus zest, orchard fruit and a hint of toasted walnut lead the nose. The palate includes mature peach, pear and mineral alongside bright acidity. A hint of hazelnut signals the close."~K.O. Wine Enthusiast 88" This savory Fiano opens with aromas of jasmine, honeysuckle and exotic fruit. The ripe, round palate delivers succulent yellow peach, ripe apricot, Bartlett pear and juicy pineapple alongside fresh acidity. "-K.O. James Suckling 93"Wow. This must be the best falanghina in Italy with sliced grapefruit, minerals and lemons on then sliced oranges. Full body plus bright and minerally character and a very flavorful finish. "~J.S.